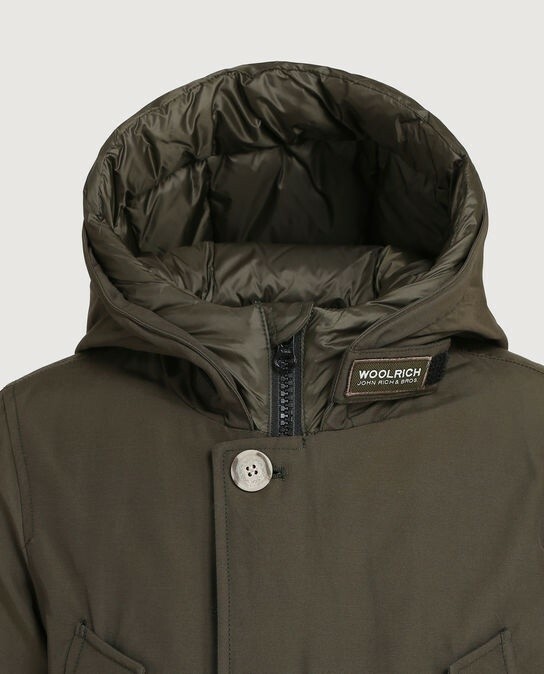 Woolrich artic parka NF in the colour anthracite. 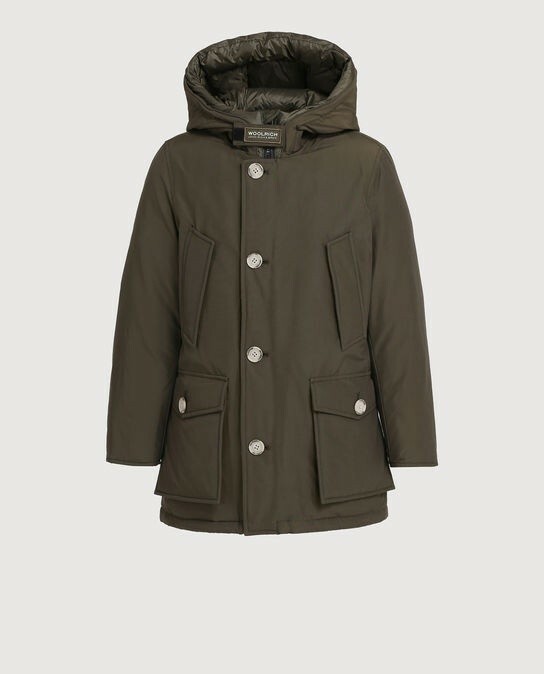 A fur-free version of the iconic Arctic Parka. 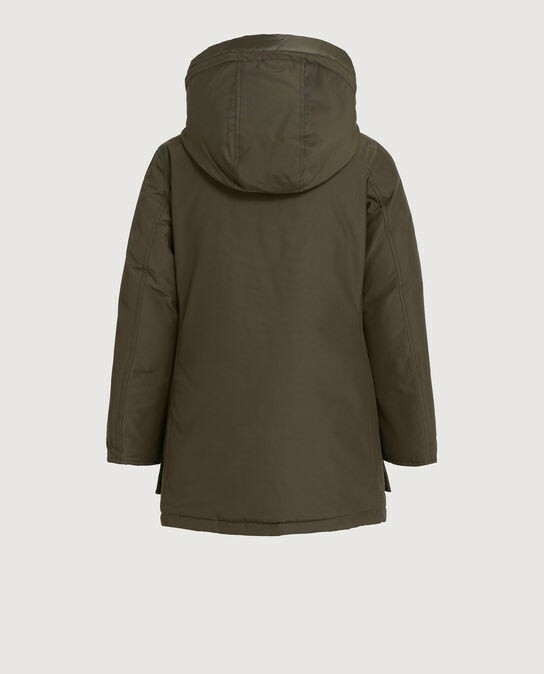 In the classic 60% cotton 40% nylon Woolrich fabric, and a special Teflon coating that ensures this garment is rain, wind and snow resistant. Zip and button fastening. Insulated with a 90% duck down 10% feather fill.